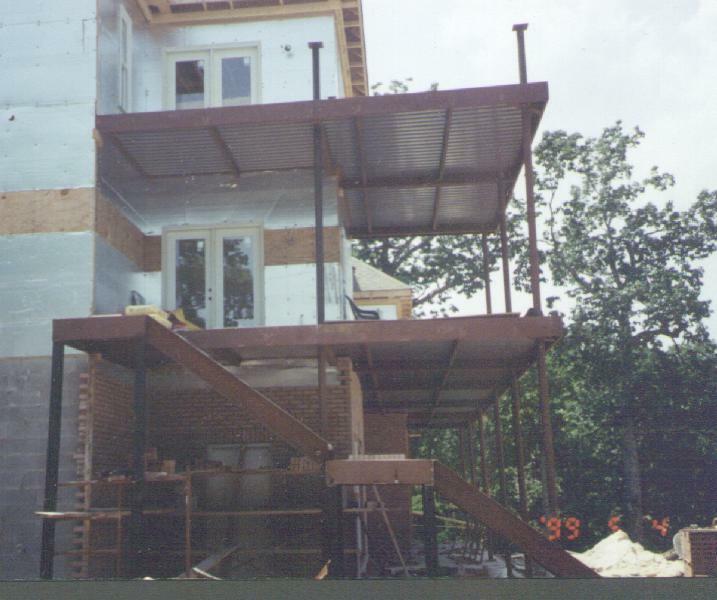 All of the photos pictured on this page are of the same deck during different stages of construction. 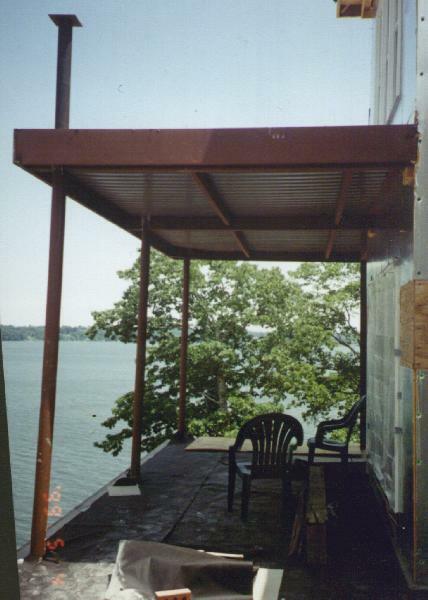 The decks were framed from steel, filled with concrete and a tile floor layed on top. 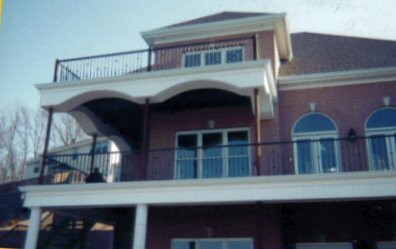 After completion all structural members were covered with wood and aluminum.